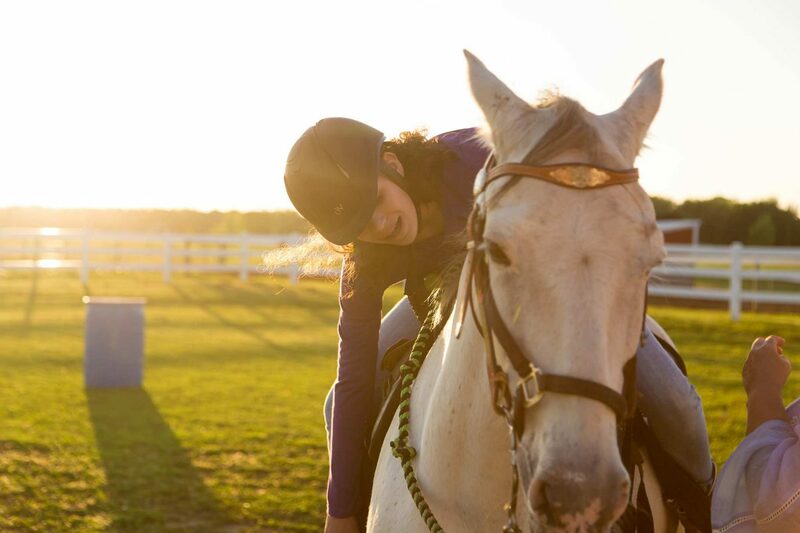 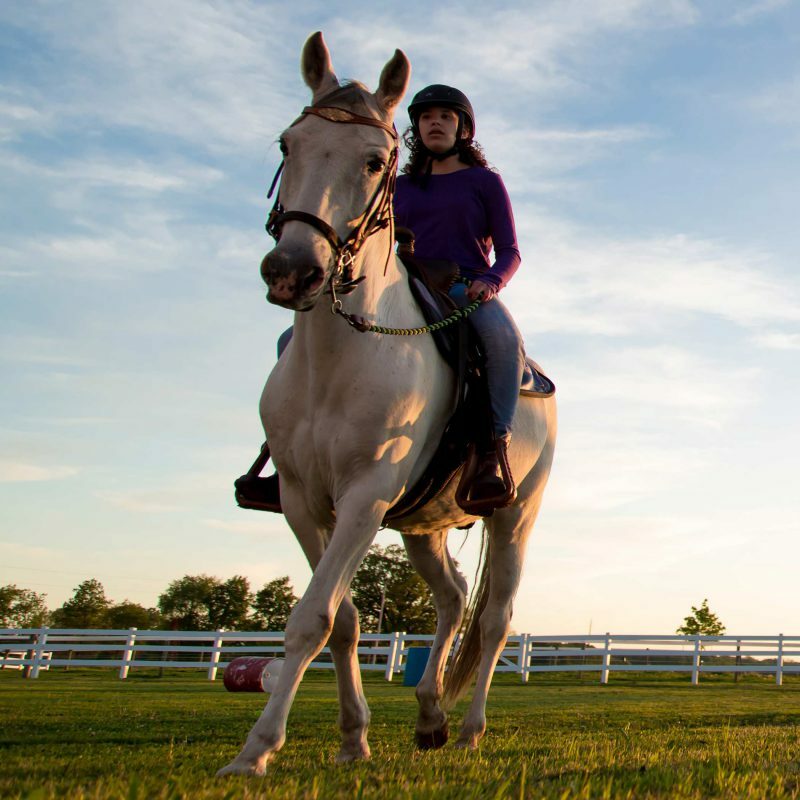 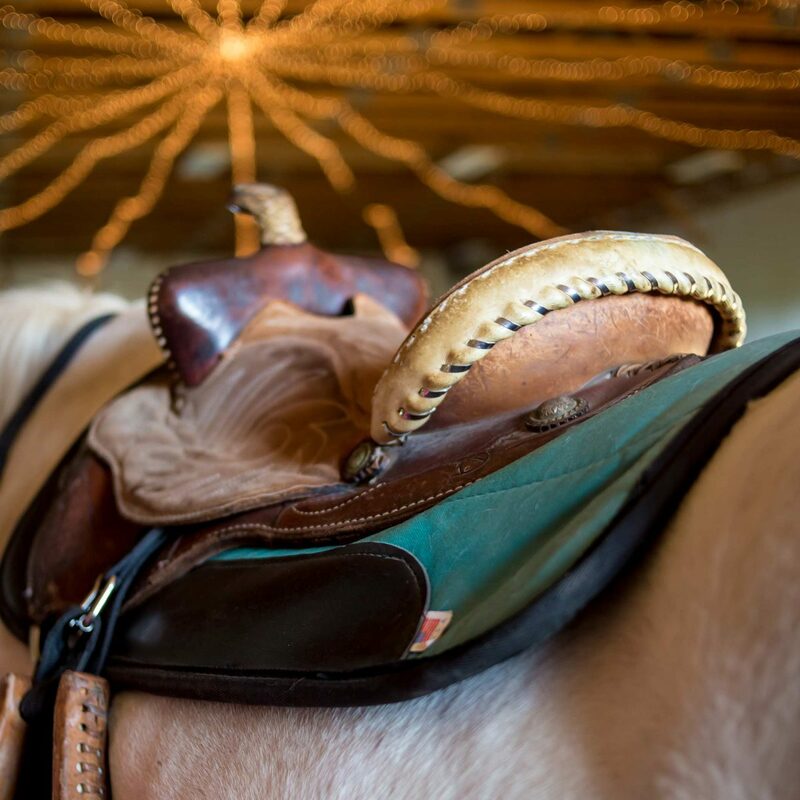 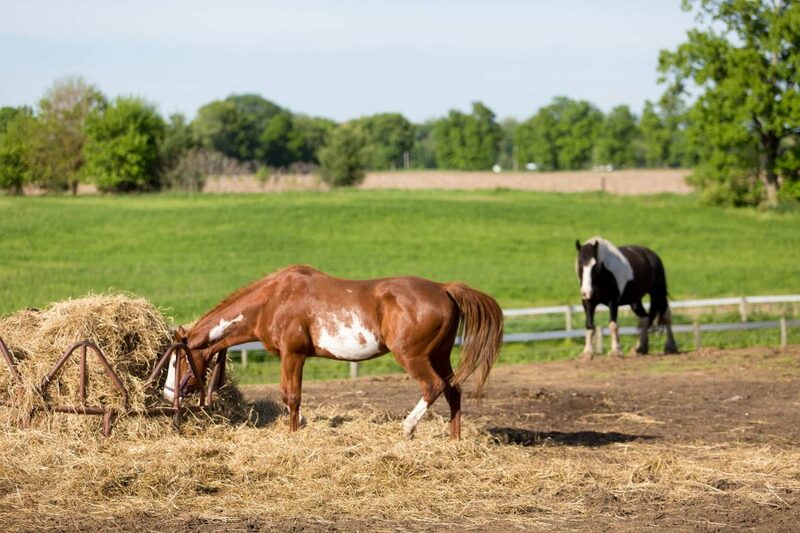 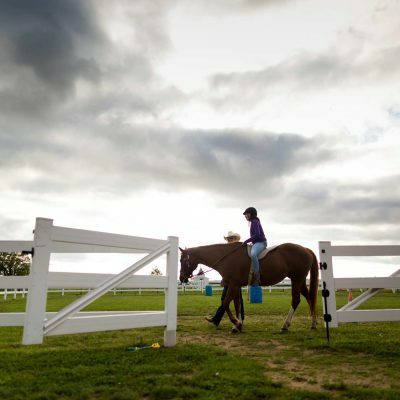 We guide patients through a comprehensive one-on-one experience with our horses. 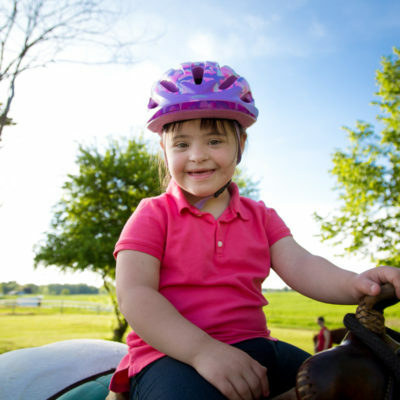 Through our Therapeutic Riding program at The MAGICAL Meadows, children, youth and adults with physical and/or developmental disabilities improve physical health, relax tight muscles, increase balance, build muscle strength, sharpen hand/eye coordination, improve social skills, and gain a sense of control and self-confidence as the rider experiences a freedom never felt before. 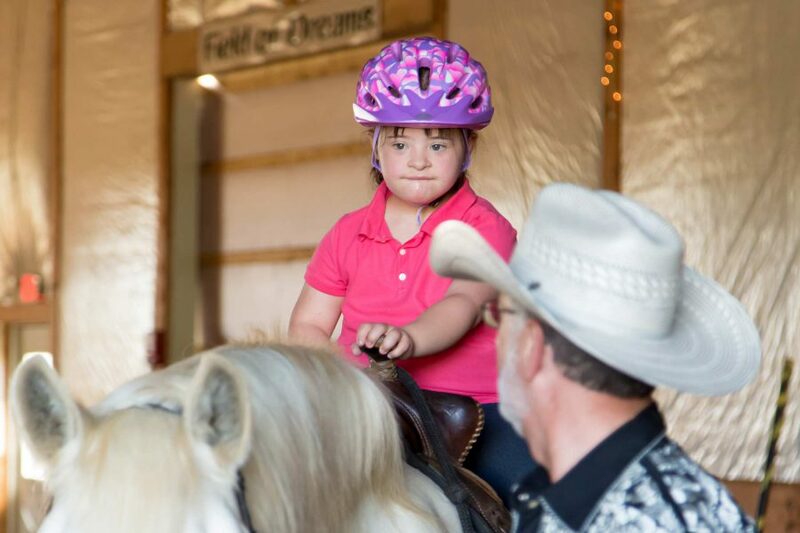 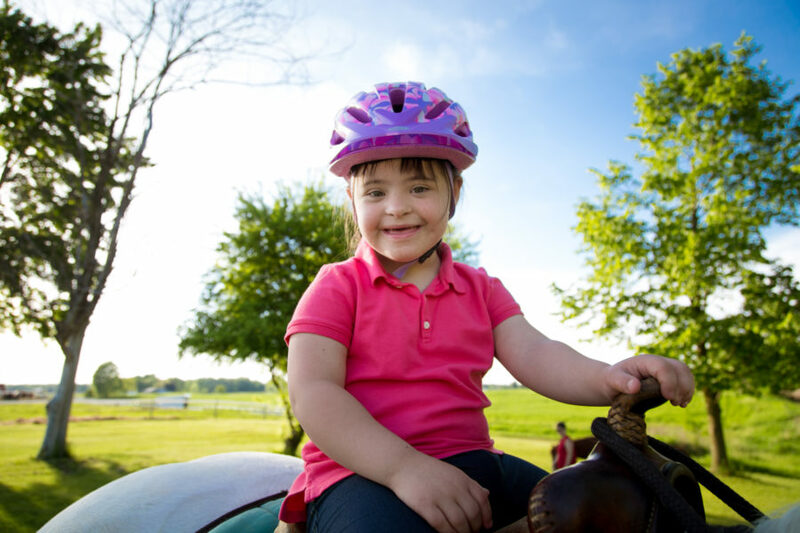 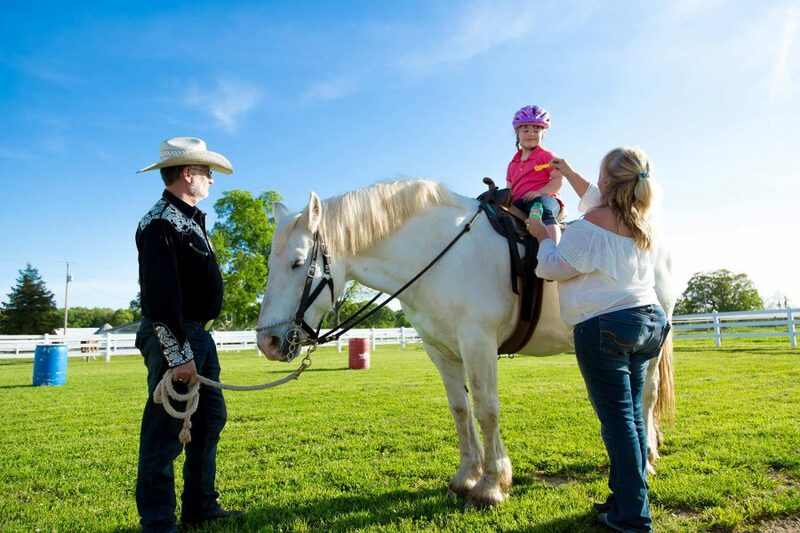 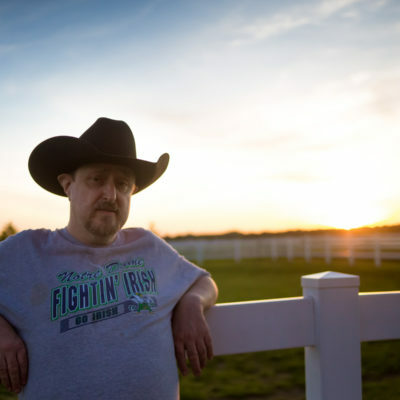 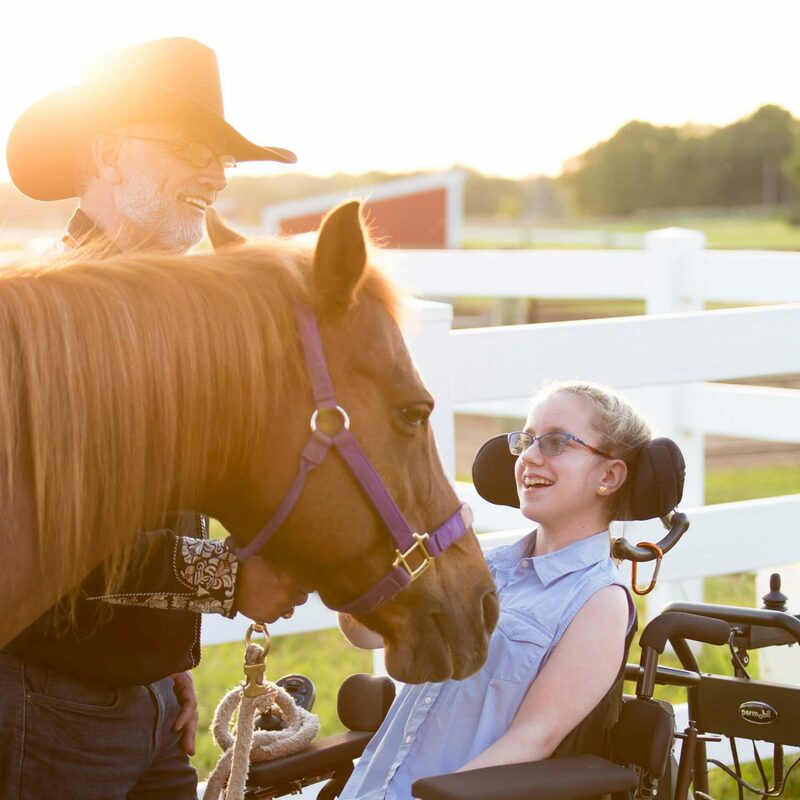 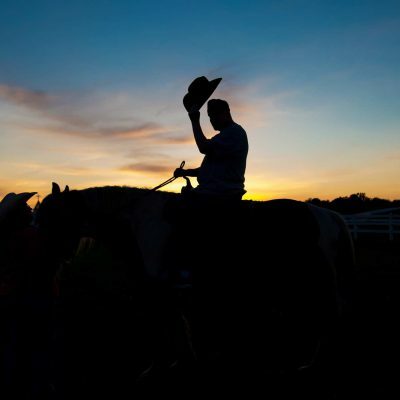 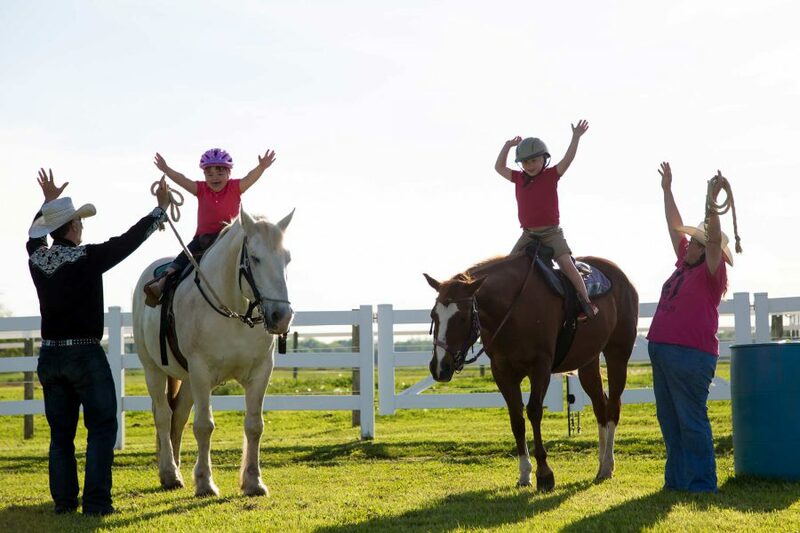 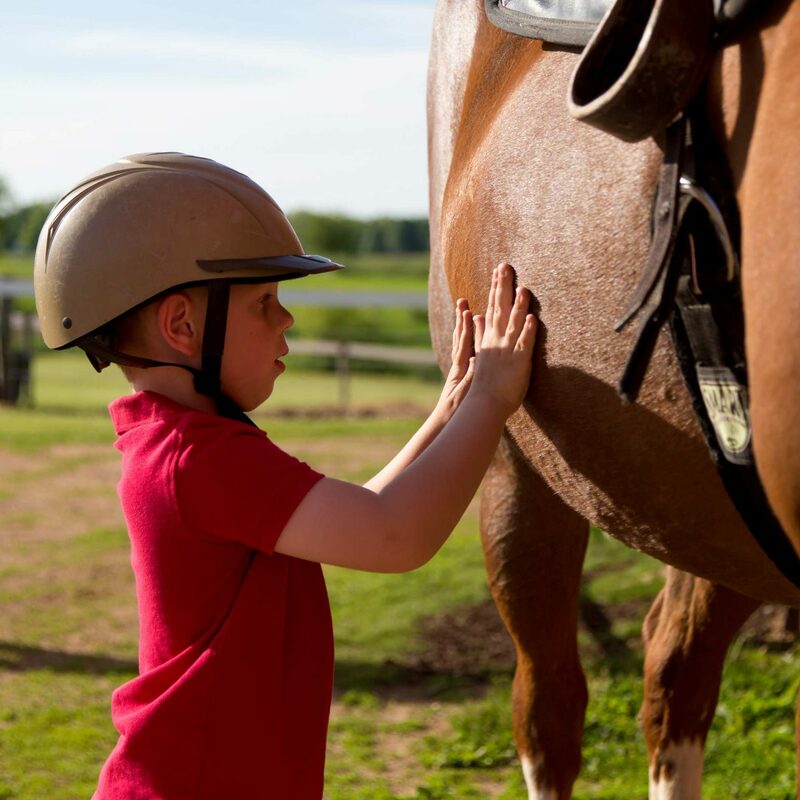 We provide therapeutic horseback riding for children and adults with physical and mental challenges. 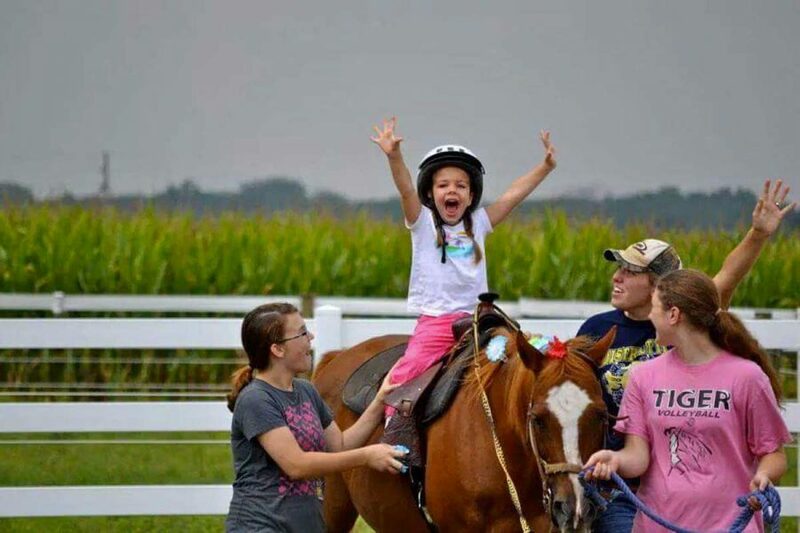 It's a magical place that brings joy deep into your heart & soul to see such astonishing achievement of the riders.